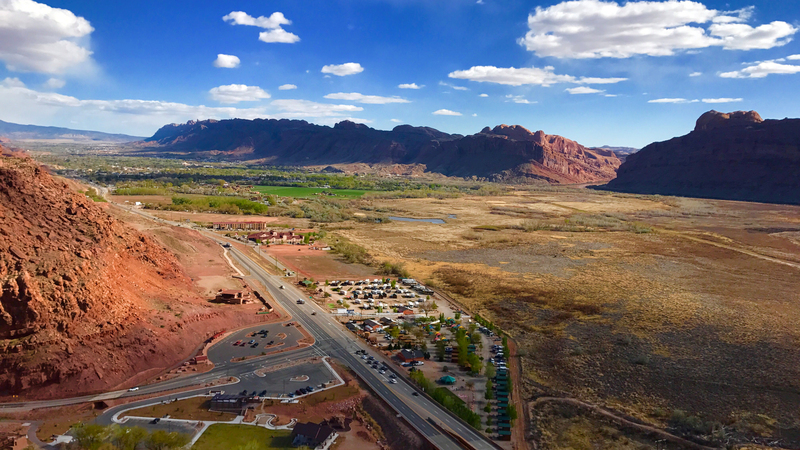 In 1992, resolutions were passed by both the Grand County Council and Moab City Council because they determined that the public health, convenience and necessity required the creation of the Solid Waste Special Service District for the purpose of constructing, maintaining and operating a sanitary landfill facility for the disposal of solid waste generated by the residents and businesses in Grand County. Facilities are closed on federal and state holidays. Landfills will close if wind speeds exceed 30 mph (gusty winds). Class IVb landfill permitted to take construction/demolition material and yard waste. Tire collection is done at this location and sent offsite for recycling. Class I landfill permitted to take municipal solid waste, restaurant grease, special wastes and biosolids. ​Closed to the general public. On top of the old Moab Landfill adjacent to the current Moab Class IVb landfill. The District is a Special Service District which is governed by a five person administrative control board consisting of representatives from the Grand County Council, Moab City Council, Castle Valley Council, and two at-large members. The board meets the second Thursday of every month. If there is no business to be conducted, the board typically does not hold a meeting in July. Meetings are held at the District’s office, 1000 East Sand Flats Road, Moab beginning at 4:00 pm. The daily operations are managed by a District Manager with assistance from an Administrative Assistant and a Facilities Supervisor/Foreman.